In an attempt to be healthier and lose weight, many dieters try to limit their intake of fats. While this can be advantageous, you do need some fat in your diet. Coconut oil and ghee are both fat sources that may not traditionally be thought of as healthy, but they can offer some benefits. As types of fat, both coconut oil and ghee are calorie-dense: Fat has 9 calories per gram. A tablespoon of ghee contains around 112 calories and 12.7 grams of fat, of which 7.9 grams are saturated. 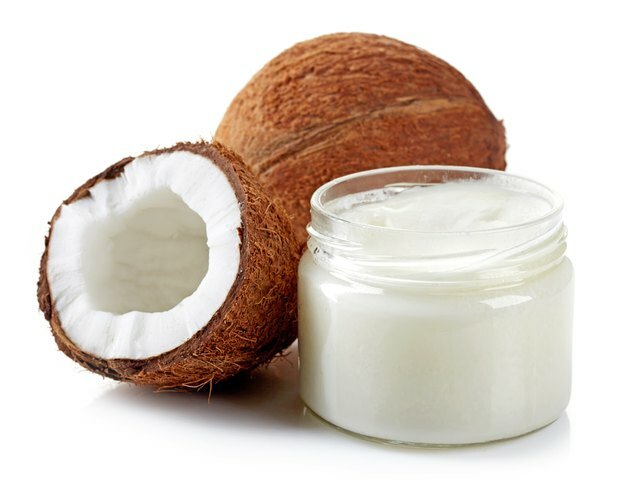 A tablespoon of coconut oil has 117 calories and 13.6 grams of fat, 11.8 of them saturated. While this gives ghee a slight edge, it isn't enough to make a substantial difference to your diet as a whole. The fats in coconut oil are primarily saturated fats, but they're a different kind, referred to as medium chain triglycerides. These may raise your levels of good cholesterol and aren't digested in the same way as other fats, meaning they're a good source of energy. Additionally, coconut oil has a high smoke point, making it useful when cooking on a high heat. One of the biggest benefits of ghee is its nutritional profile. It is rich in vitamins A and E, and ghee's saturated fats are easier to break down than saturated fats in meat, notes dietitian Sanjana Shenoy. One serving of ghee contains 1,418 International Units of vitamin A and 1.3 milligrams of vitamin E, or 28 percent and 7 percent of your recommended daily intake, respectively. Like coconut oil, ghee has a high smoke point, so is best used for cooking purposes. Despite some small differences, coconut oil and ghee are relatively similar, especially in terms of fat and calorie content, even if ghee's is slightly lower. They may have potential health benefits but haven't been studied enough to warrant any strong recommendations on consuming more of them. The general consensus is to limit saturated fat intake, so both coconut oil and ghee should be consumed in moderation. EatRight Ontario: I've Heard That Coconut Oil Is the Best Oil to Use. Is That True? Is Avocado Bad on a Diet?